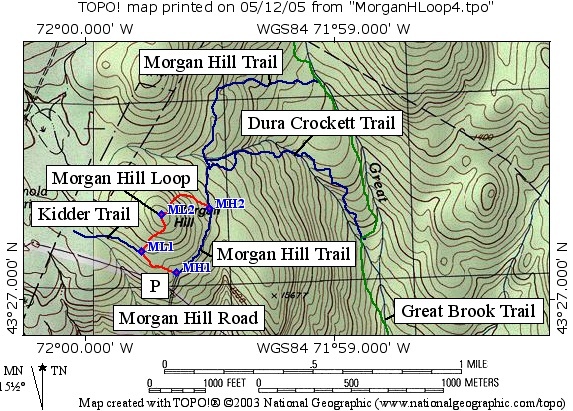 The Morgan Hill Loop Trail (in red) ascends from its start at the end of Morgan Hill Rd (point MH1) to the intersection with the Kidder Trail (ML1 in blue) then branches right and climbs to the summit of Morgan Hill (ML2) to the intersection with the Morgan Hill Trail (MH2 in blue). It ascends 140 feet in 0.3 miles, descends 160 feet in 0.2 miles to the Morgan Hill Trail, and then returns to the starting location to make a 1.0 mile loop. 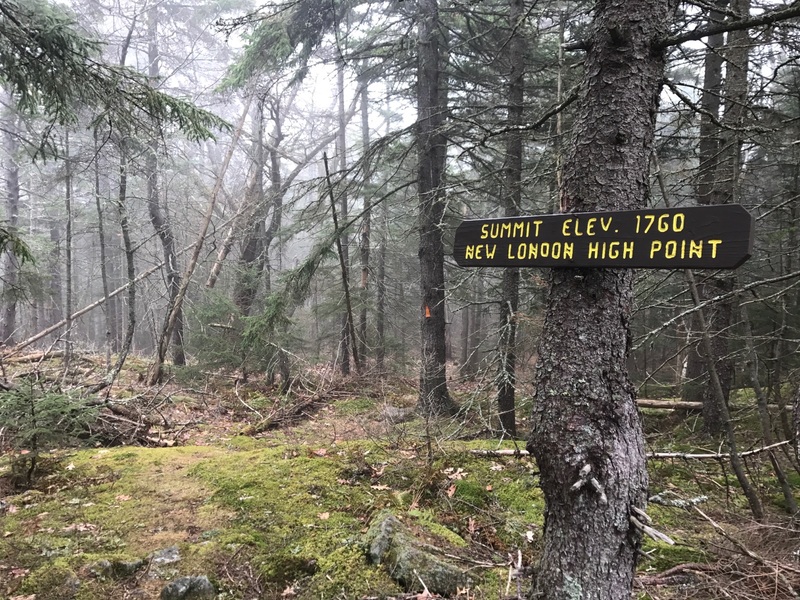 Longer loops are possible in combination with the Dura Crockett and Great Brook trails.